PLAN 2400. 3/2 ½ /2 Two Story. 2408 sq. ft.
You’ll enjoy sitting on the wide front porch sipping a cool drink and watching the world go by in this cozy 3 bedroom two story with a study. The living room has a soaring ceiling that looks down from the second floor. 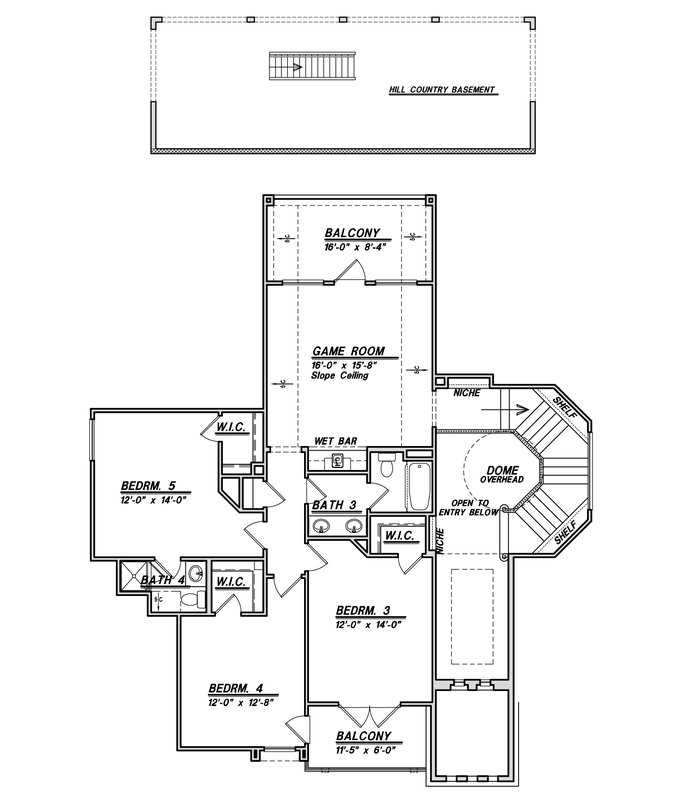 With a private master down and two additional bedrooms up, there’s plenty of room for everyone. For added appeal, three dormer windows light up the second floor and add panache to the exterior elevation. PLAN 3709. 5/3 ½ /3 Two Story. 3709 sq. ft.
Balcony, lanai, porch, call them what you wish, there are three on this beauty: one to the front and two to the back. Windows are everywhere so light will be abundant. 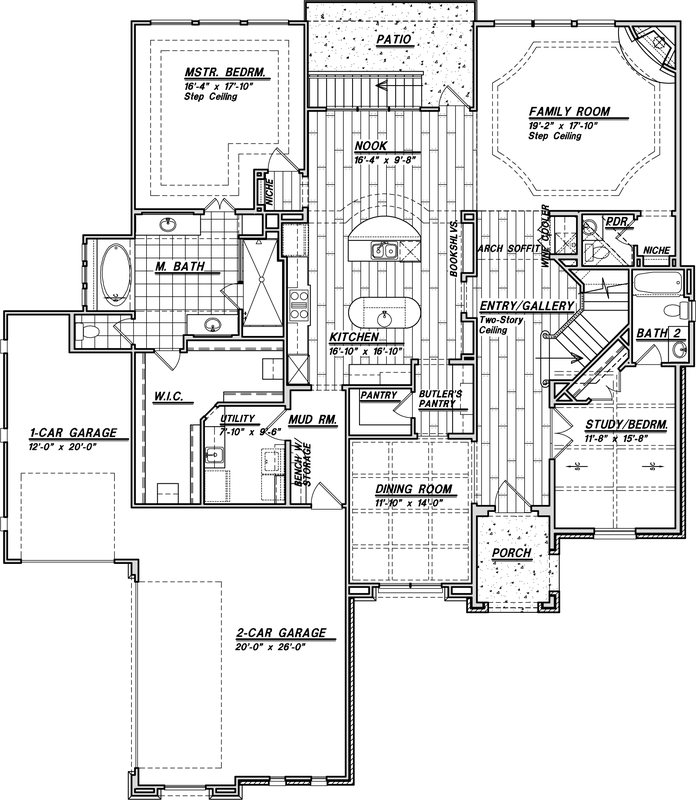 This well laid-out plan makes the most of the ample square footage with five bedrooms, one that could double as a study, three and a half baths, two eating areas and specialty rooms such as a “Hill Country Basement”, a mud room, a butler’s pantry and an impressive entry/gallery. Entertain in the spacious island kitchen and don’t forget to look up at the elegant ceiling treatments in the dining, master, family and study/bedrooms. And if these aren’t enough rooms to explore, there’s a gameroom upstairs waiting for that pool table and other entertainment equipment. Two garage bays connect to a “separate” one car garage, perfect for any extra “toys” you may need to park.